Whilst taking advantage of England’s summer sun, I wondered if anyone else’s lips became as dry as mine do when faced with hot weather. Well one thing that I’ve had to hand over the last year or so is a L’Occitane Shea Butter Lip Balm. I don’t use it every single day, but sometimes my lips dry up and can sometimes flake for no apparent reason, although it’s probably just stress a lot of the time. This is thicker than normal but does two things: firstly, it leaves lips nourished and prevents them from cracking and becoming worse, actually helping to repair them, the second is that it gives an amazing protective barrier that prevents them from becoming worse. For men it’s great as it won’t leave your lips shiny and glossy, it’s pretty matte actually. Oh and I should point out that even though it’s not really measurably by SPF, Shea Butter does have a little natural sun protection and is a use for it in Ghana where a lot of Shea is made. Made with 10% Shea butter among other humectants and moisturising ingredients, this is definitely something worth investing in, just don’t keep it in your pocket, as it will become a little melted to say the least. They last quite a while and always run out at the most inconvenient of times, I had to track one down in Frankfurt a few weeks ago but luckily succeeded. If your lips are even worse than mine, which is unusual but particularly if you suffer with eczema or psoriasis then it may be worth looking at the pot of pure Shea butter L’Occitane do, it’s even thicker and more nourishing and will definitely help, also free from most irritating nasties. This article first appeared on MANFACE written by Thom Watson. It was published on Wednesday 23rd May 2012 and was last updated on Monday 3rd April 2017 at 4:20pm. 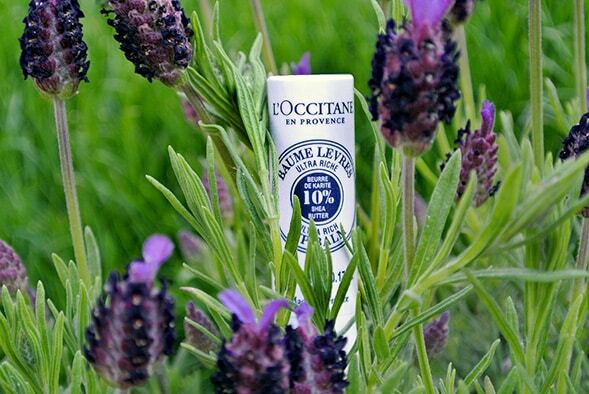 It's categorised under Lip Care, L’Occitane, Sun Protect where you'll find more related content. Thank you! I’ve been out in the garden this afternoon enjoying the lovely weather with my camera! Haha!